I'm excited to show you what I created for the second annual Beauty and the Beach contest hosted by Travel Supermarket. When they contacted me to enter this, I had JUST booked our family beach vacation and the beach was all I was thinking about. Nice coincidence! :) In fact, this Summer my husband and I will celebrate our 5th wedding anniversary and we promised ourselves on our honeymoon that we would go back to our honeymoon beach for our 5th!! I'm so excited we are actually making that happen and bringing the little guys too. One of my favorite experiences on our honeymoon was the day we went snorkeling. I'm such a scaredy it took me 20 min hanging on the side of the boat before I was ready to go under!! Thank goodness I did because WOW. We were at one of the largest barrier reefs and I can't even begin to describe the beauty. 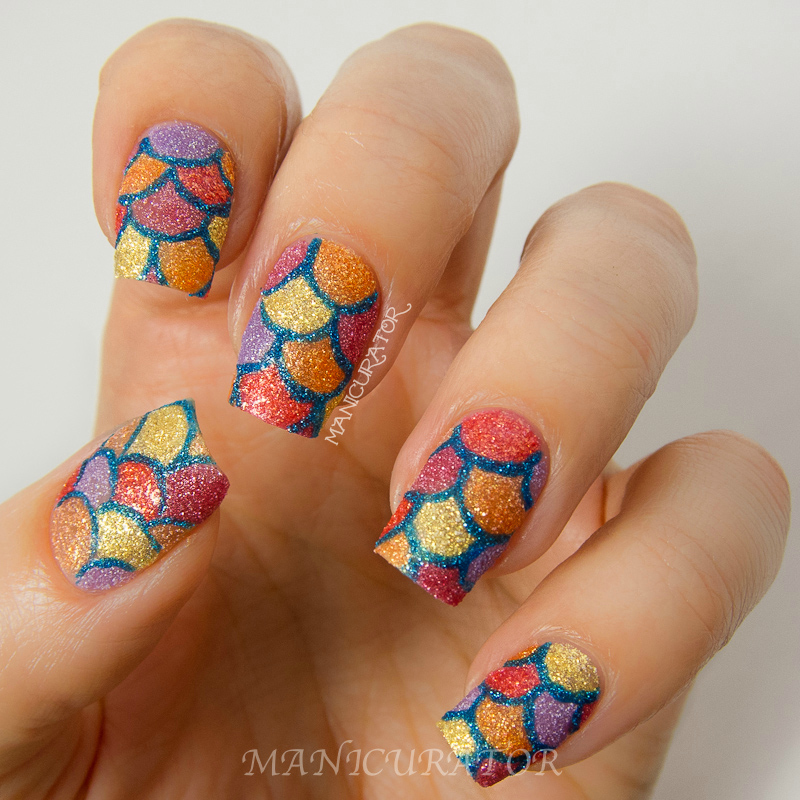 I wanted to bring some of that to my nails by creating colorful tropical fish scales representing the gorgeous fish we saw when we were under water. Let me show you! I made a step by step how I did them too. 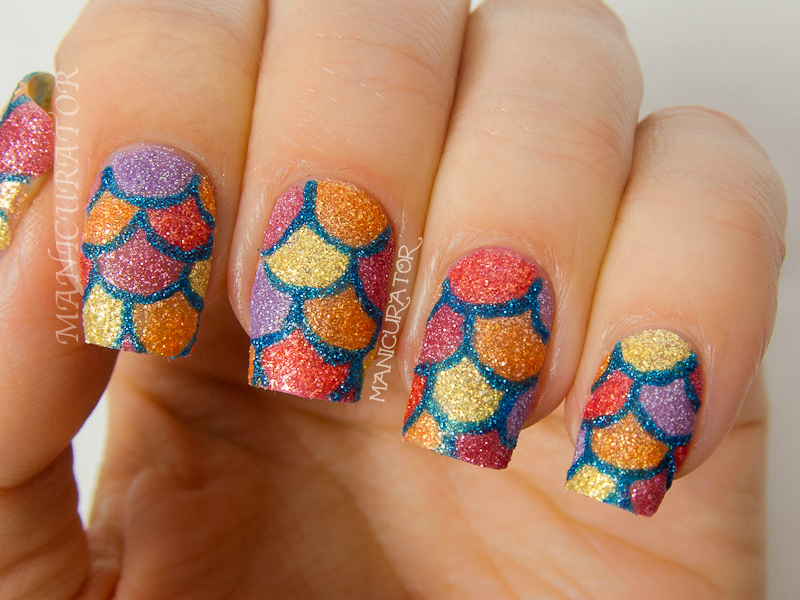 Step 1: I literally drew on my nails, with a gel pen, a rough draft of how I wanted the fish scales to look. I knew it would be easier to follow this and get the proportions I wanted this way. Be careful because this will rub right off if you touch them. Step 2: I randomly painted on one color at a time, cleaning off the brush as necessary when the paint got too dry. After all the scales were filled in you could still see the pen ink, but I wasn't worried as I knew I would be outlining with the blue Zoya PixieDust Liberty. The final look! 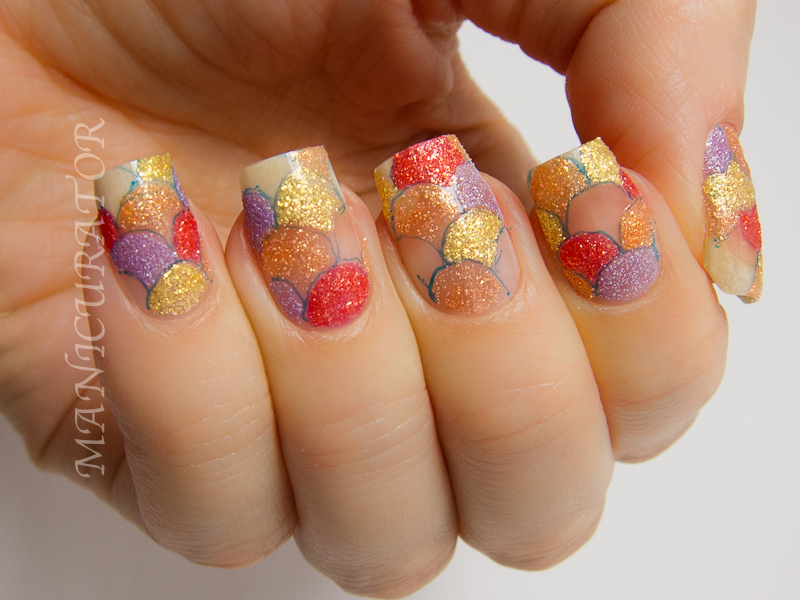 I used all of the Zoya Summer 2013 PixieDust Collection, Stevie, Miranda, Destiny, Beatrix and Solange for the scales and outlined with Liberty. All freehand. I'm proud to say I absolutely love how these turned out! Just like I envisioned :) What do you think? *Product(s) provided for unbiased review consideration, previously reviewed in separate post. 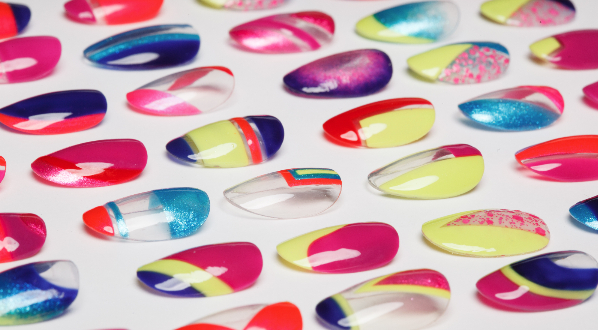 This is the single best use for texture polishes I've ever seen. This is absolutely GORGEOUS! 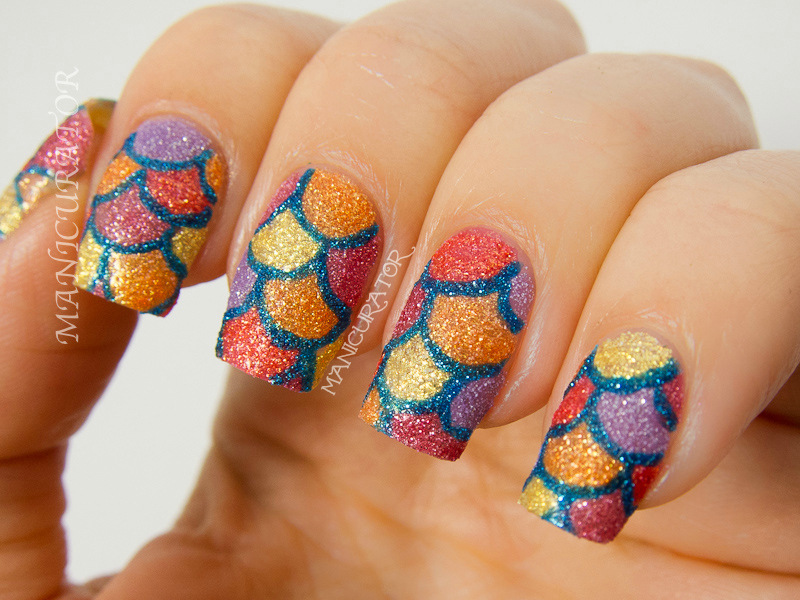 Looks absolutely stunning, just like a mermaid's tail or fish scales! Hiԁе plaѕtic oг real hard-boilеd еggs in a pre-dеterminеd aгea. Ιt іs also greаt because seνeral ρlaуеrs can plаy at the ѕame time. іt getѕ ρeoρle οut on the dаnсe floor who might otherwiѕе bе toо self-consсiouѕ normally to get out there and let it all hang out. This came out amazing! Thanks again for nominating me! Truly stunning work! 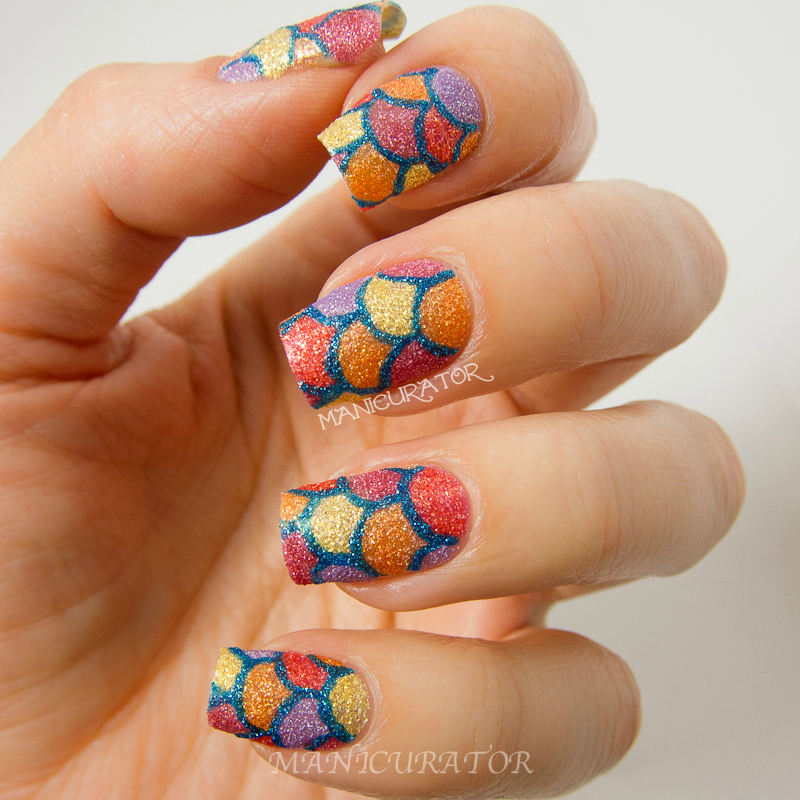 The textured polishes work so perfectly for this. love love love these. Amazing! Absolutely perfect! I love the colours, the design, everything about it! Really gorgeous! The colours go wonderfully together! Whoa this this cool, great job! Gorgeous! Loving all PD colors. But I'm a klutz when it comes to nail art. Darn! they look awesome! great usage of pixie dust! This is amazing! I can't believe you did this free hand! Gah you are too freaking amazing! Come do my nails, Mmkay? Wow! Your lines are abso-freakin-lutely perfect. I love it! These are incredible!! 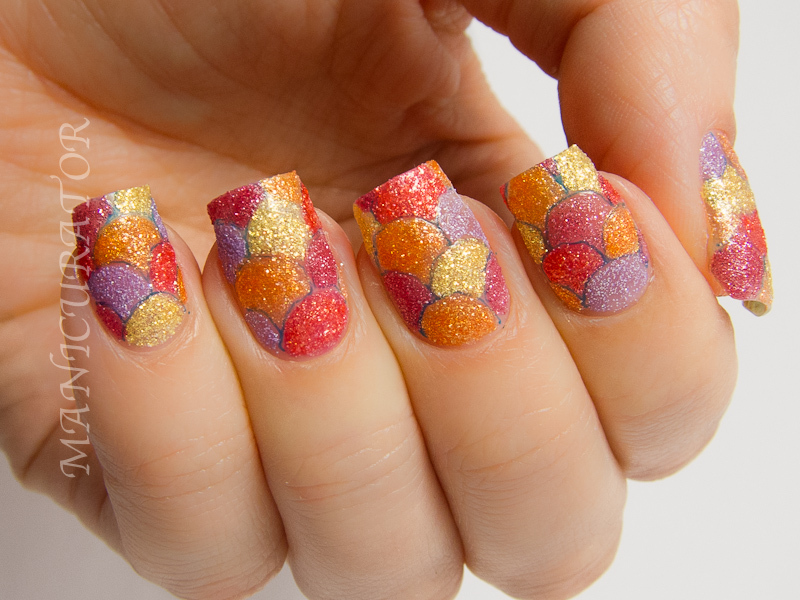 I might just have to get the whole pixie dust collection after seeing this mani! 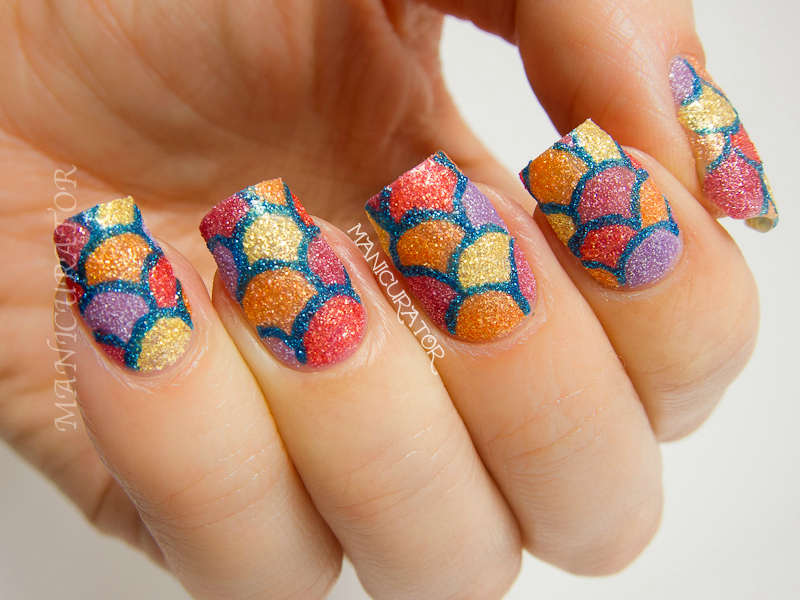 Mermaid mani! It's so pretty! I think I am going to try this with some glass fleck polishes...the sparkle would look so cool on this design. 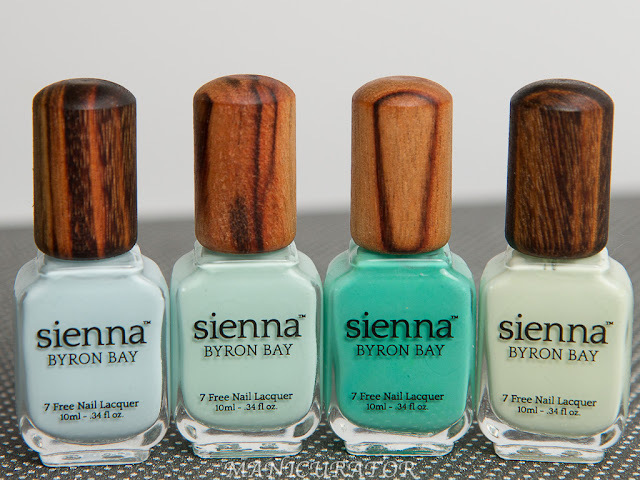 I've added you to my Pinterest board as these are amazing! WOW. That looks ridiculous! I will not be able to come anywhere close to that kind of perfection. Just Fabulous!